Adventus: "...but that was in a foreign country...."
I expect to see more articles like this, and I just pause to note they won't address the elephant in the room. Law is tricky and complicated, but one aspect of law is fundamental: "Change the facts, change the outcome." What kind of emergency powers Trump asserts, if ever he does, will change the legal analysis entirely. Facts on the ground, as the pundits love to say, change the analysis, too. 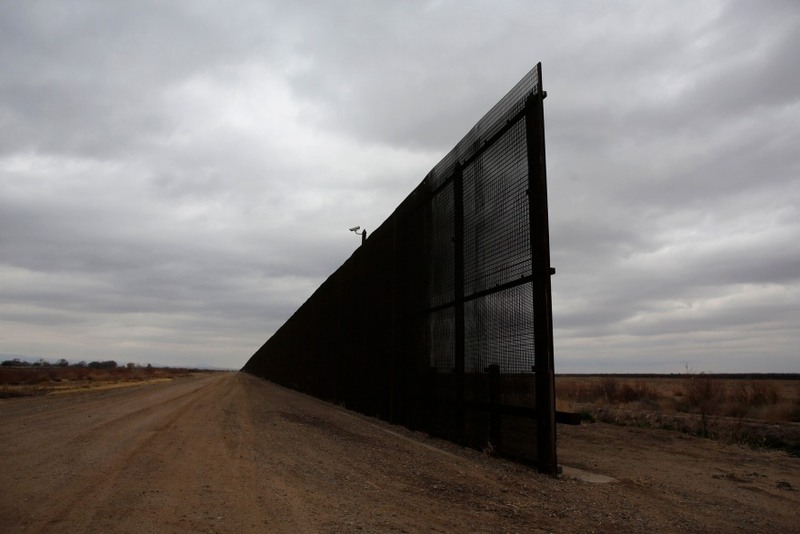 One major factor of this discussion of the border is the reason why where isn't already 2000 miles of border wall/fence/obstruction, and that's because of a) the geography of the border, and b) much of the border in Texas, the longest state border with Mexico, is in private hands. That means you have to invoke the 5th Amendment (aside from the fact they aren't going to build a wall that obstructs flood plains, or that runs through Big Bend National (or State) park). Read the Slate article carefully (and note it refers to the Goiten article and relies on it, an article I've already noted has no application in this possible scenario), and you will fail to find any reference to the 5th Amendment whatsoever. Trump may, in some far-flung theory, be able to declare an emergency to re-direct military funds for construction. Under no scenario or historical precedent, can he suspend the 5th Amendment and just start taking private property. (Not, actually, that this has slowed the federal government down all that much; but invoking "extraordinary powers" won't speed things up, either. Indeed, it will just bog the whole mess down in more litigation, which might prove helpful as small landowners can't afford the court fights large landowners can. Always a silver lining, if you look for it. And yes, it's funny nobody considered that taking a "crisis," even though it went on under W.'s aegis, ancient history now, I guess. Besides, it was on the border, and in Texas, so who cares, amirite?). The fact is, most pundits pontificating on the Mexican border have no idea what the geography of that border is. *Not to mention Trump would probably lose even the Senate if he tried that stunt. Although some GOP Senators apparently agree it's a way out of the impasse without actually doing anything about the wall. Yeah, the situation is that bad. Rather than pressure McConnell to do the right thing (again), they'd rather have the decision taken away altogether by the courts.